Explore what StandOut can do for your organization. StandOut is designed for the real world of work. It gives your team leaders exactly what they need to activate team members’ talent, because engagement and performance happen team by team. Based on over 25 years of research, StandOut infuses personalized coaching with flexible technology to deliver the real-time, relevant data that creates voluntary usage and drives results for your entire organization. Start With Strengths. Launch The StandOut Assessment. The StandOut Assessment uses a mixed-method approach to identify the taker’s comparative advantage, captured in “StandOut Roles.” These Roles provide incisive insights that allow team leaders to leverage their own strengths and coach team members on how to use theirs. Anchored in research for results you can trust. Identifies users’ Top 2 StandOut Roles, capturing their unique advantage. Only takes 15 minutes for users to start bringing the best of themselves to work. Energize Focus. Check In Frequently. StandOut makes it easy for all team leaders to follow the most important ritual the world’s greatest team leaders have in common: Check-Ins — frequent 1:1 conversations with their team members about near-term future work. 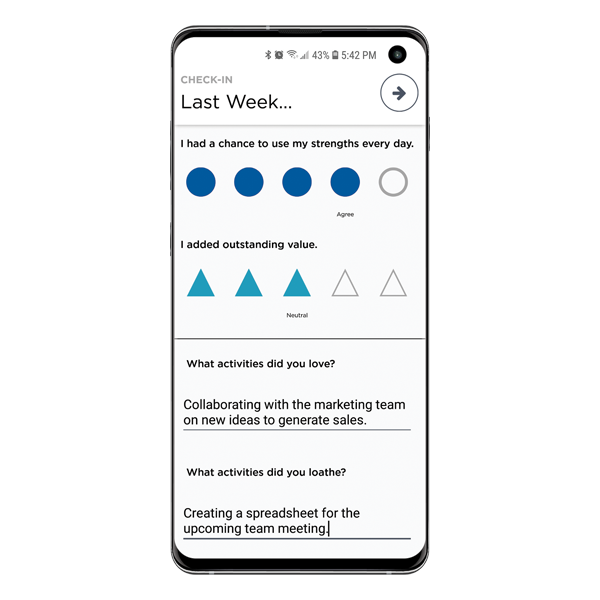 Extensive research shows that StandOut Check-Ins drive results by leveraging the power of conversation, giving your team leaders a light-touch way to align priorities to strengths and energize their team’s next sprint. Focus conversations to regularly align on priorities and energize work. Capture the ritual of the world’s best leaders. Intuitive, light-touch tool team leaders and team members want to use. Work Collaboratively. Create Dynamic Teams. Productivity doesn’t have to change just because your teams do. Today, teams change constantly, and who works with whom evolves faster than org charts can keep up with. 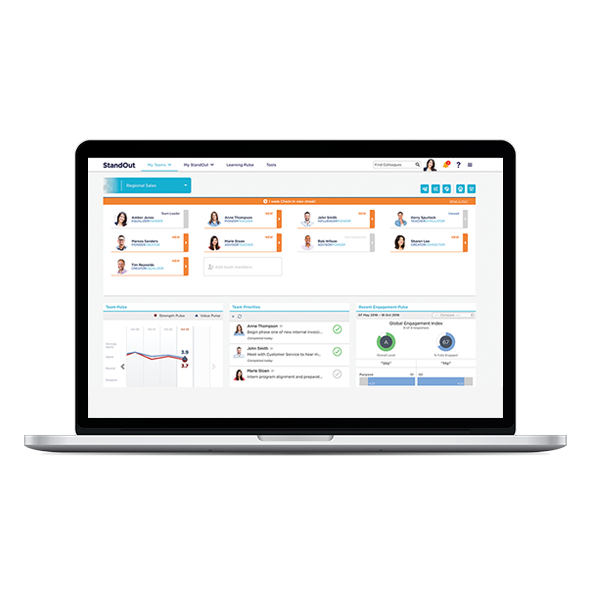 To add efficiency to continually changing environments, empower your team leaders to organize teams effortlessly through StandOut’s Dynamic Team functionality. This means less paperwork for you and quick results for your leaders. Give team leaders flexibility to organize, create, and disband teams. Increase productivity by providing leaders with immediate visibility into contributors. Support agile organizational structures to show where work is happening in real time. Measure Engagement. Launch The Engagement Pulse. Measure team engagement and give team leaders the tools and knowledge to create the kind of environment that helps teams thrive. 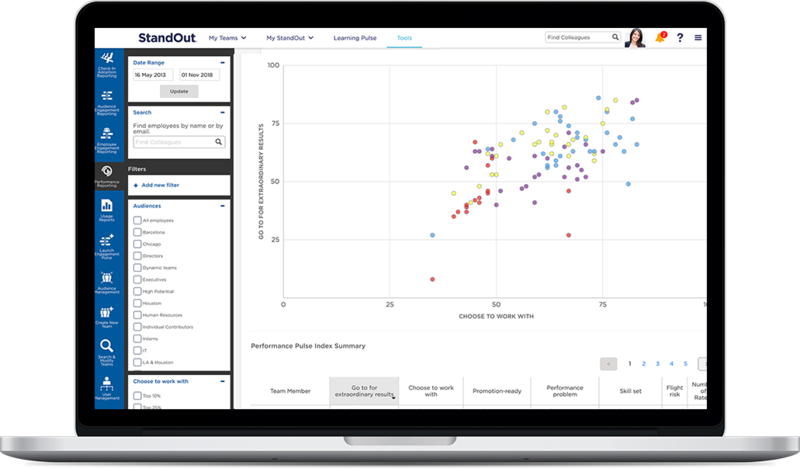 StandOut’s Engagement Pulse reveals real-time engagement levels based on the 8 factors research has shown are most crucial to high-performing teams. 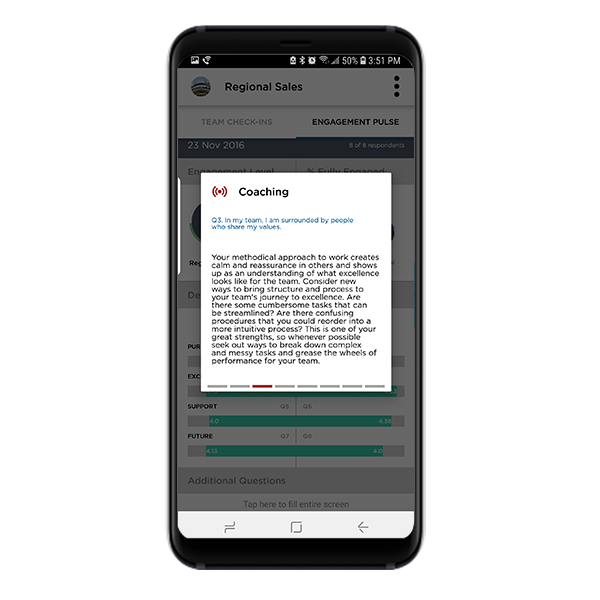 Locally triggered by any team leader for any team at any time, Engagement Pulse delivers results to your team leaders instantly while giving your organization a clear view of in-the-moment engagement, team by team. And it doesn’t stop at measuring engagement: it provides the coaching leaders need to help move the needle. Can be launched by your organization or team leaders, putting instant results in leaders’ hands. Reflects decades of research on what leaders must do to help their teams thrive. Provides action-oriented coaching to help leaders impact engagement immediately. Build Momentum. Coaching At Your Fingertips. 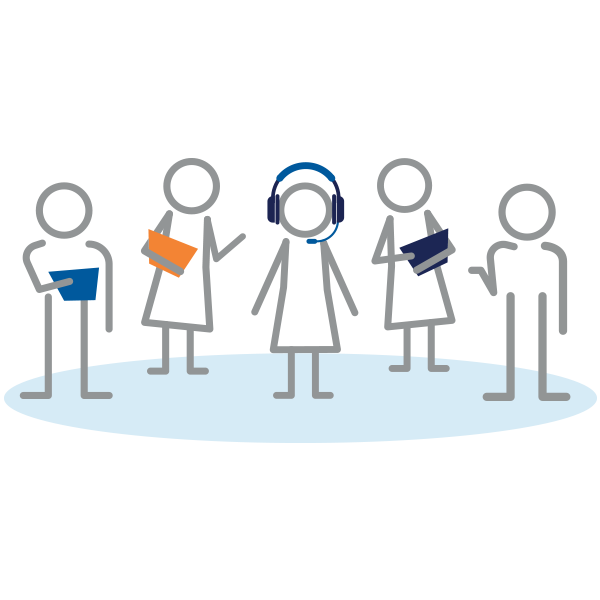 Accessible anytime, anywhere, the StandOut platform provides your organization with robust coaching at scale. Our infusion of coaching insights into technology sustains momentum and multiplies effects — tailored to each user’s individual StandOut Roles. Your people will enjoy a continuous supply of personalized coaching, support, and motivation. Insights that are relevant and usable. Always-on fresh content supports continual development. Scalable organization-wide personalized attention helps create rapid results. Accelerate Performance. Then Measure It Reliably With Performance Pulse. Repeated research demonstrates that over 60% of a rating of someone’s performance reflects the rater, rather than the person being rated — which means current ratings systems generate a lot of bad data. Careful research and design allow StandOut’s Performance Pulse to cut through this “idiosyncratic rater effect” to quickly and reliably reveal each individual’s productivity, teamwork, promotion-worthiness, and performance problems, enabling organizations to make differential talent decisions with confidence. Our machine learning algorithm adjusts for each rater’s rating tendencies, producing good data that gets smarter with time. Generates accurate people performance insights without complex processes. 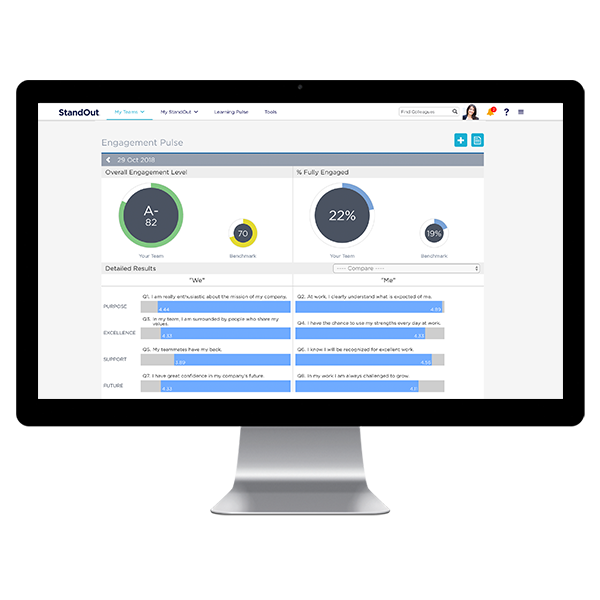 Neutralizes rater bias to produce reliable data for talent decisions. Uses machine learning to continuously refine data accuracy. Leverage Strategic Partners. Consulting And Deployment Resources Dedicated To Your Success. From the moment your StandOut journey begins, our ​Client Success team is ready to guide you. Our world-class​ partnership model has been crafted to help you achieve your desired outcomes. Upon ​contract signature, you will be assigned a dedicated ​and experienced partner who will ​be invested in your business and provide insights and best practices. Additionally, you will be equipped with ​deployment resources, data expertise and supplemental assets every step of the way. Client Success partner ​who will provide operational and strategic partnership on your account. Data insights that translate StandOut reporting to drive meaningful action. 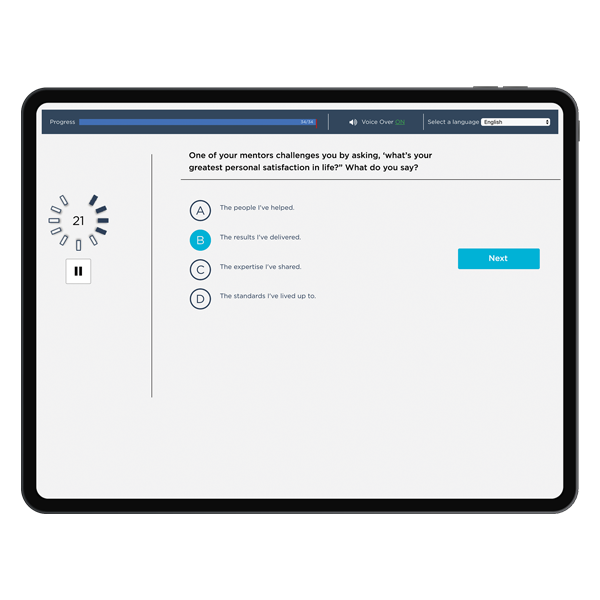 StandOut Now portal access provides resources supporting rollout and ongoing usage of StandOut for your organization.